>>Thadam Director's Next Movie Revealed! >>Massive update about Arun Vijay's upcoming biggie! 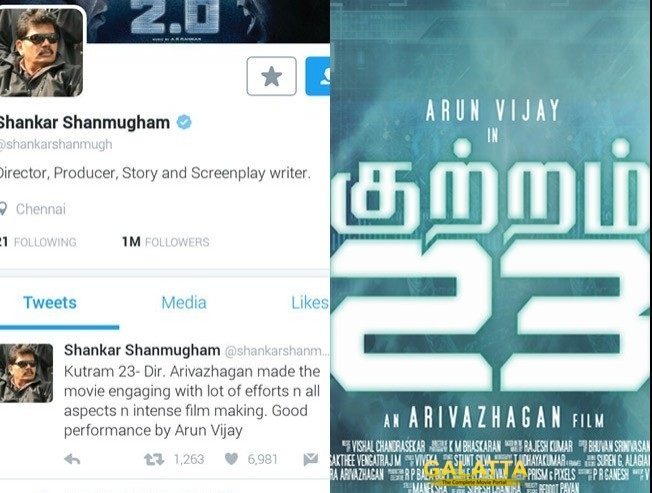 >>Arun Vijay's Thadam to be remade - Check deets here! >>New Saaho release update for Prabhas fans! >>Watch the new sneak peek from Arun Vijay's Thadam! >>List of movies releasing in March!